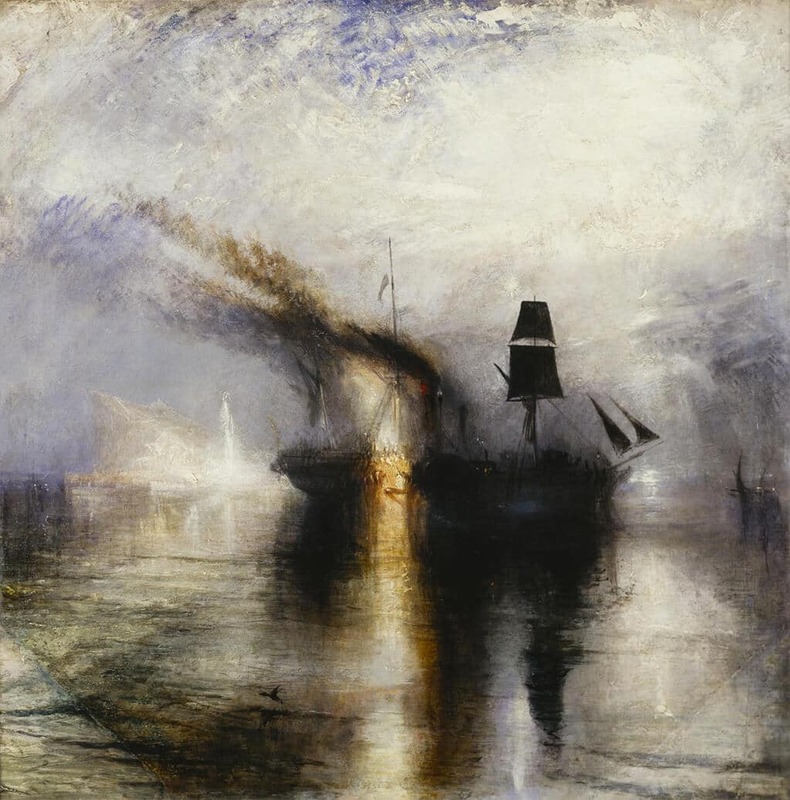 Turner was a brilliantly radical artist. But was he of his time, or outside it? In 1966 New York’s Museum of Modern Art, with the British artist, Tate trustee and curator Lawrence Gowing, staged an exhibition of Turner’s late paintings, including unfinished canvases discovered late in the 20th century, as well as a selection of his most freely painted watercolours (these, with their shimmering veils of colour floating freeform on otherwise unblemished paper, possessing an extra freshness and immediacy (pictured: Turner’s Bedroom in the Palazzo Giustinian, Venice, c.1840). Divested of their 19th-century frames, many of these paintings were reframed in the manner of modern paintings. 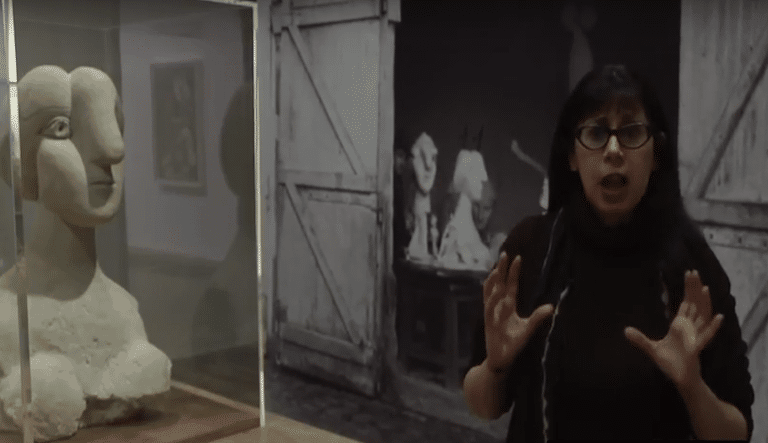 It wasn’t difficult to see the connections across the span of a century, towards the abstract expressionist works that made up much of MoMA’s permanent collection. Tate Britain’s current exhibition has a much more arresting title, though the curatorial conceit seems strangely intent on pulling against it. It promises “freedom”, yet tells us that here is a Victorian, setting himself towards the concerns of his age. But we know of course that his greatest concern was the exploration of light and colour, which the exhibition’s wall panels dwell on hardly at all. But if you can’t see it with your own eyes, you can surely read of it in at least one of his paintings’ rather epic titles: Light and Colour (Goethe’s Theory) – the Morning after the Deluge – Moses Writing the Book of Genesis, 1843, is a swirling vortex of fiery red enfolding a circle of golden light. The painting depicts a further subject – as indicated by its descriptive title – to which we must strain our eyes. 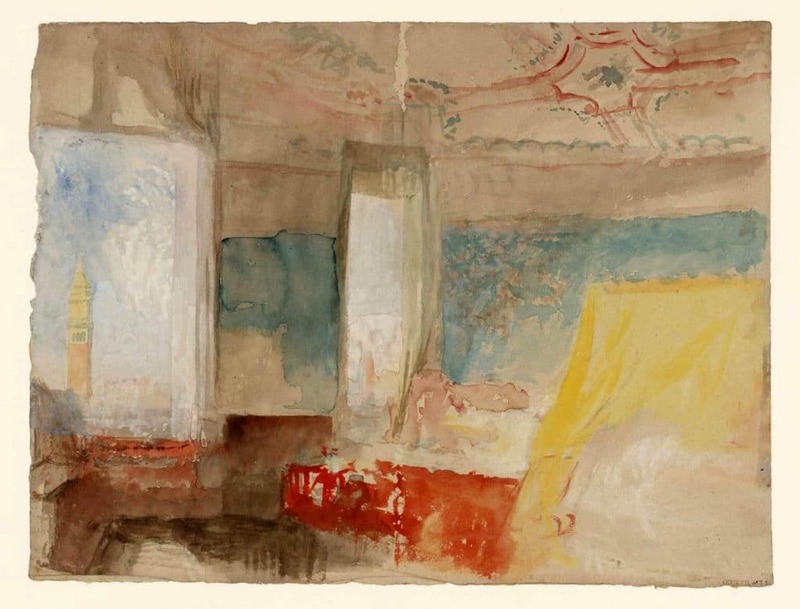 The exhibition focuses on the last 15 years of Turner’s productive life, 1835 to 1850 (he died, having suffered from a series of debilitating ailments including a slow loss of vision, in December 1851, though he remained remarkably active and able to travel abroad and work assiduously for most of the period covered). But for one example, a painting by a younger Royal Academician whom Turner was tutoring (the older artist suggested bringing out in greater relief a lamb in the foreground by adding black to the younger artist’s epic but rather solidly conventional painting), Turner is shown on his own. We find numerous contrasting yet paired paintings, such as the magnificently brooding and subtle Peace: Burial at Sea (pictured) shown with the almost luridly colour-heightened War: the Exile and Rock Limpet, with its throbbing blood-red passages. Both were painted in 1842, with the first depicting the burial at sea of Scottish artist Sir David Wilkie after he died of typhoid on board ship, while the second refers to the return to Paris of the remains of Napoleon, after he had died in exile in St Helena. 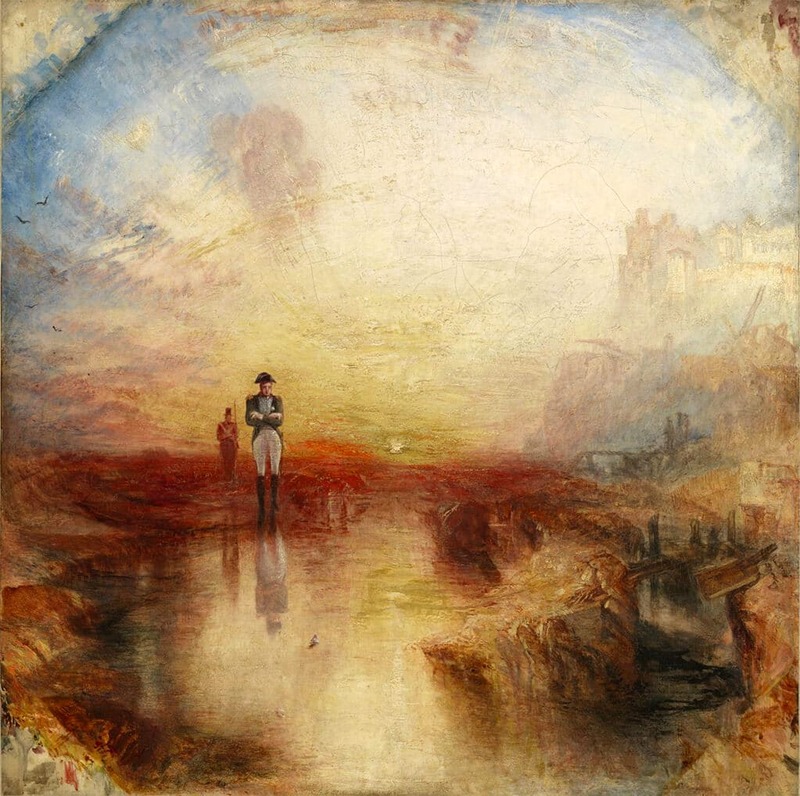 Of course, contemporary subjects (or at least ones commemorating events within living memory – Napoleon having died in 1821) featured often in Turner’s late work, two further examples being his series of spectacular canvases depicting the 1834 burning down of the Houses of Parliament and the fire at the Tower of London. Like all of nature’s dramatic effects, pyrotechnics fascinated him. All artists who are as great and as prolific as Turner will have many faces. Inevitably, curatorial conceits will pull them this way, then another. Ultimately, however, there is always something in these artists that is both compellingly unique and protean. Open your eyes to that and you will love these paintings even more. This review first appeared in The Arts Desk on 12 September, 2014.